Let, $x_1,x_2,x_3$ be age, length of employment, length of residence, and income. My understanding is that the goal of transformation is to address the problem of normality. Looking at histograms of each variable we can see that they present very different distributions, which would lead me to believe that the transformations required are different on a variable by variable basis. Lastly, how valid is it to transform variables using $\log(x_n + 1)$ where $x_n$ has $0$ values? Does this transform need to be consistent across all variables or is it used adhoc even for those variables which do not include $0$'s? One transforms the dependent variable to achieve approximate symmetry and homoscedasticity of the residuals. Transformations of the independent variables have a different purpose: after all, in this regression all the independent values are taken as fixed, not random, so "normality" is inapplicable. The main objective in these transformations is to achieve linear relationships with the dependent variable (or, really, with its logit). (This objective over-rides auxiliary ones such as reducing excess leverage or achieving a simple interpretation of the coefficients.) These relationships are a property of the data and the phenomena that produced them, so you need the flexibility to choose appropriate re-expressions of each of the variables separately from the others. Specifically, not only is it not a problem to use a log, a root, and a reciprocal, it's rather common. The principle is that there is (usually) nothing special about how the data are originally expressed, so you should let the data suggest re-expressions that lead to effective, accurate, useful, and (if possible) theoretically justified models. The histograms--which reflect the univariate distributions--often hint at an initial transformation, but are not dispositive. 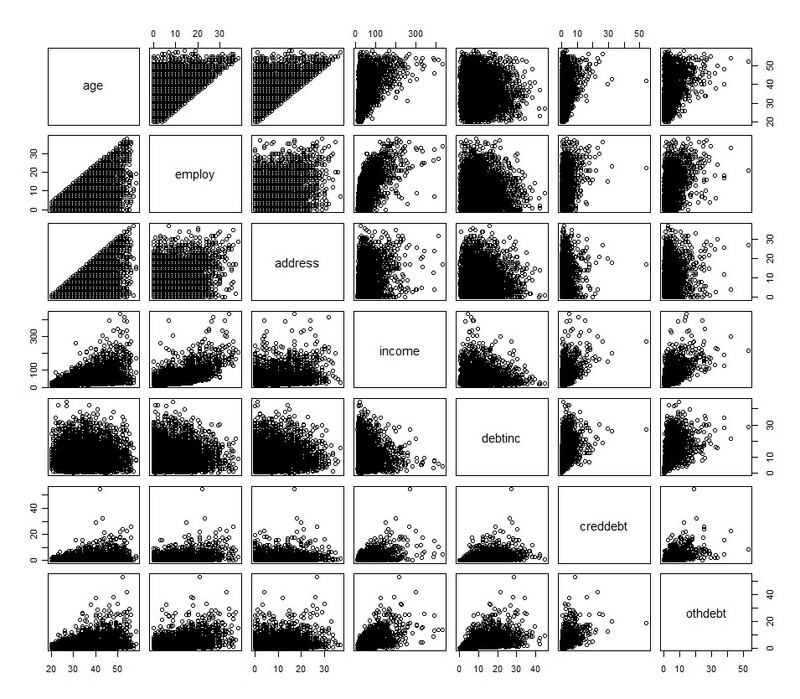 Accompany them with scatterplot matrices so you can examine the relationships among all the variables. to the estimate. When $x \gt 0$, $z_x = 0$ so the second term drops out leaving just $\beta \log(x)$. When $x = 0$, "$\log(x)$" has been set to zero while $z_x = 1$, leaving just the value $\beta_0$. Thus, $\beta_0$ estimates the effect when $x = 0$ and otherwise $\beta$ is the coefficient of $\log(x)$. Not the answer you're looking for? Browse other questions tagged r regression logistic data-transformation or ask your own question. log transformation vs square root transformation, Can I do both? How should I transform non-negative data including zeros? 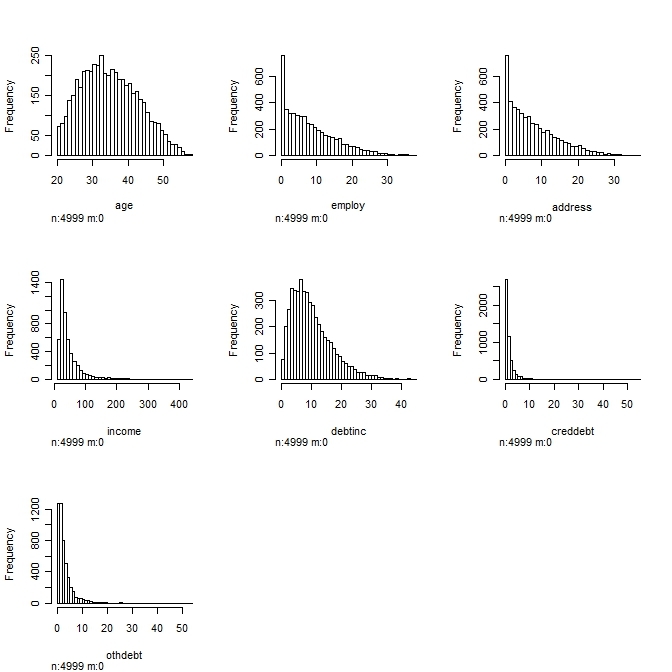 What to do if residual plot looks good but qq-plot doesn't, after transforming the predictor and response variables? How to back-transform negative Beta coefficients of linear regression after log transformation?